Be creative! Be original! Impress your friends! Express your emotion by creating personal custom Stickers in 3 easy steps: 1. Shoot a photo or get it from your photo library. The app gives you two options, use an existing image, or take a new one. 2. 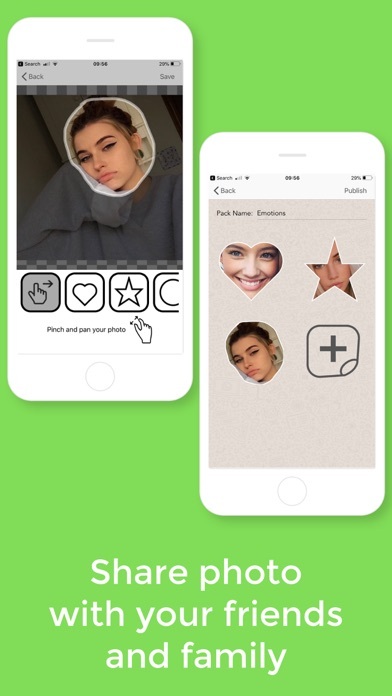 Customize your Sticker using custom shapes or create a new one 3. Publish on WhatsApp or any other Social Media application or just save it into your Photo Library for later use. You can use memes, or your own photos, any photo from your phone will work. 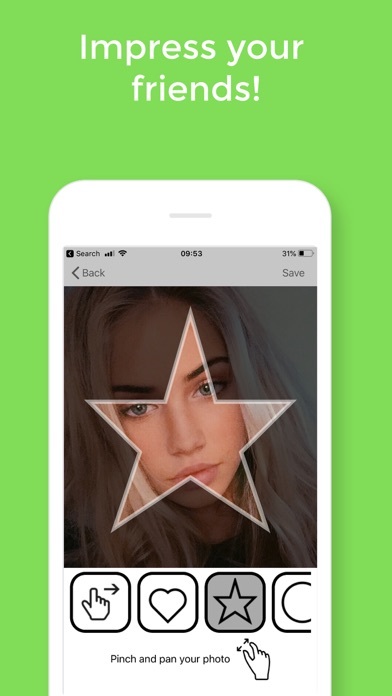 Example of social media apps: WhatsApp, iMessage, KakaoTalk, Instagram, WeChat, Line, Tumblr, GroupMe, Telegram, Messages, QQ, Mail, Twitter You can create unlimited number of Packs with unlimited number of Stickers inside of every pack. You can publish it to WhatsApp so anytime you use whatsapp you can quickly use your stickers. To publish on WhatsApp you need at least 3 photos in the Pack you want to publish. 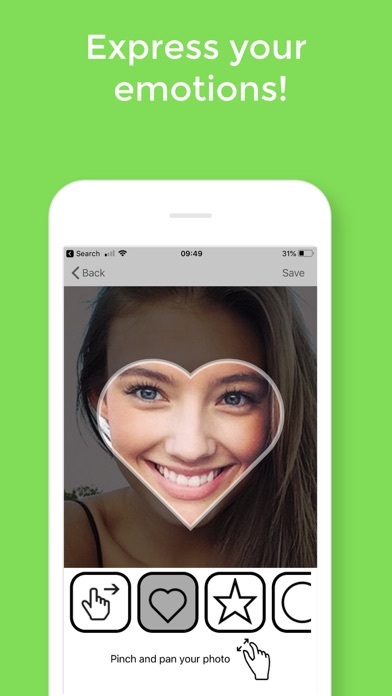 The benefit of this method is, you can import personalized facial emotion like excited, sad, overwhelmed etc with bobble keyboard and later set it as stickers on WhatsApp. The app is totally free! Use it and share it with your friends! This sticker app is the only one I prefer to use. It s fun to make your own between using photos of friends or yourself. You can send them to whoever you want and they ll get a kick out of them. The creativity in this app is amazing! I love all of the different shapes you can put your photos into. From hearts to stars there is a shape for you! Nobody will have the type of photos you ll have after creating them on this app. It allows me to use a picture and crop it into all types of shapes. It is exactly what you need if you guys wanna make your own stickers. I would highly recommend it! I love this app! It is very unique and allows you to be creative.